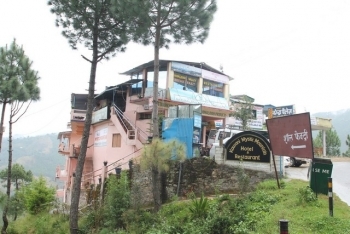 Hotel Kausani Mystic Mountain is nestled in the undisturbed beauty of Kausani in Bageshwar district. The scenic beauty and picturesque landscape of this heavenly place is magnificent. The grandeur of the snow clad hills, the blossoming trees and the tea gardens surrounding the resort is tempting. The resort is located at the foothills of the Kumaon Himalayas. It is surrounded by the mighty peaks of Trishul, Nanda Devi, Panchachuli and Hanthi Parvat. The resort is nestled with love and care amongst the splendor of evergreen trees and towering mountains. The hotel is located near Tea factory at Kausani in Bageshwar district. Kausani is a pristine hamlet located about 120 km from Nainital. It is perched at an altitude of 1890 meters. Famous visitors attractions such as Rudradhari Fall, Baijnath/Bagnath temples, Anashakti Ashram and Pindari/Kafni Glacier Trek are at vicinity of the hotel. 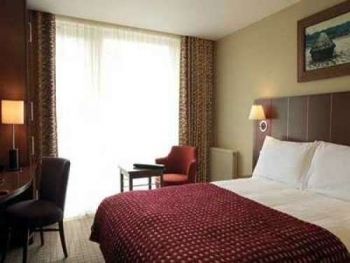 The luxurious hotel offers accommodation in (10) well furnished rooms. For adventure seeking tourists the hotel offers comfortable stay in well maintained tents. The rooms are well equipped with modern amenities such as 24 hours hot/cold running water, LCD with cable network in all rooms, EPBAX Intercom facility, 24 hours power backup and heater also provided in winters. One can enjoy the rich aroma of tea while have a through the tea gardens. The multi cuisine restaurant of the hotel serves lip smacking Indian, Continental and Chinese cuisines. The guests can have their food at the sit out areas where the gentle winds and charming ambience lights up the mood. The food is served hot at the table with hospitality. - Taxes are applicable, off season discount @ 30 % on package price. By Road : Kausani has well connectivity by road and buses are available from Kathgodam and Almora to Kausani. By Rail : Kathgodam is the nearest railway station to Kausani about 132 km. One can easily take bus or taxi to Kausani from Kathgodam. By Air : The nearest airport to Kausani is Pantnagar Civil Aerodrome airport. It is located at a distance of 162 km from Kausani. Taxis are available to Kausani, Haldwani, Nainital and Almora from Pantnagar airport. Buses are available from Haldwani, Kathgodam and Nainital to Kausani.